Yes, and also in Romans 8:6-7 Paul stated: For to be carnally minded is death; but to be spiritually minded is life and peace. Because the carnal is enmity against God: for it is not subject to the law of God, neither indeed can be. 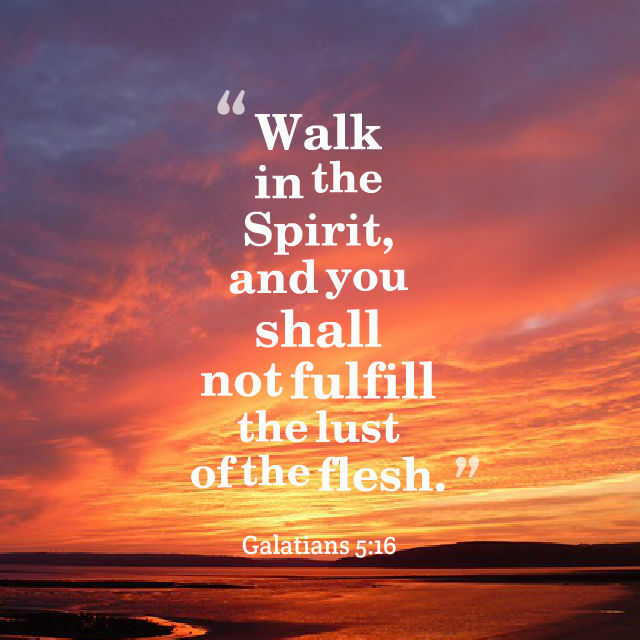 Yes, it is so much better to live by the Spirit of God and allow Him to guide us in our daily lives. God does care about every aspect of our lives. Thank you, Susan. Once again you are on target with the Word.